CIHEAM’s 1st Mediterranean Forum for PhD Students and Young Researchers, framed within the UfM labelled project Higher Education & Food Security and Rural Development, provided the opportunity to debate on potential initiatives addressing the current challenges related to the design of sustainable agricultural food production systems in the Mediterranean basin. 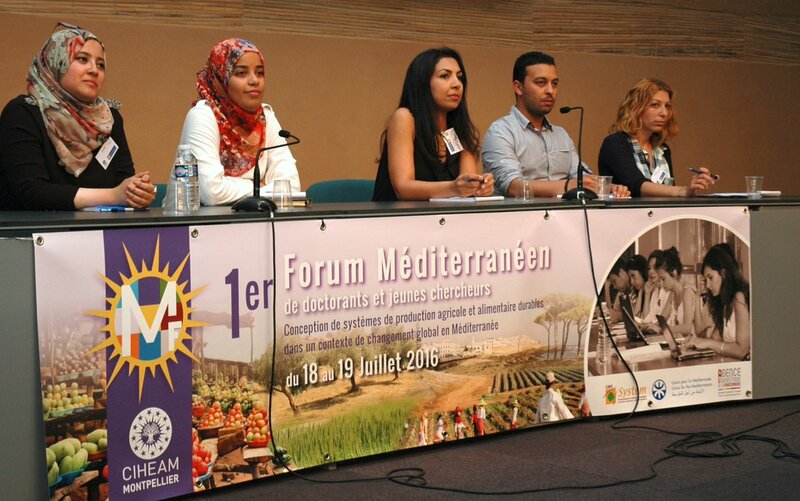 Hosted by CIHEAM IAM of Montpellier, the two-day forum was organized by CIHEAM with the support of the Secretariat of the Union for the Mediterranean. Throughout the event, young researchers and doctoral students had the opportunity to present undertaken recent research and development work on the basis of previously selected abstracts as well as to attend keynote addresses from invited guest speakers and panels of experts debating on topics covered by the seminar. Check out the #MedForum2016 hashtag for some photos and posters.